Many inquiries we receive at GO On Hold are from small business owners and professionals working out of the office most of the time or they have no office at all… relying on their cell phone or smart phone for all business communication. Until recently, it has not been possible to have cell phone music on hold and most people assume it is impossible to have any audio on hold, since there is no “hold button” on a cell phone. However, now there is a way to provide music on hold or messages on hold on your smart phone using the RingCentral virtual PBX service app. GO On Hold uses a virtual PBX phone system from RingCentral in our main office to handle all of our calls. There are many advantages to a virtual PBX, including auto-receptionist, multiple voicemail boxes, extension dialing, music on hold and more. With this service, we are able to connect all employees as if they were in the same office, improve communications with customers, and boost productivity. Another huge benefit from our RingCentral virtual PBX system is it gives us cell phone music on hold capability on our smart phones via the RingCentral app. 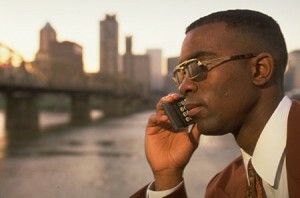 Instead of making business calls with our cell phones when out of the office, we make them with the app. To activate your cell phone music on hold, you simply press the pound key twice. While your caller is on hold, they will hear the on hold audio you have uploaded and selected in your RingCentral online dashboard (control panel). It’s that simple. 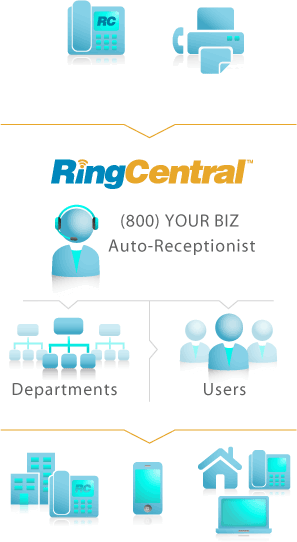 You can try RingCentral free to see if it’s right for your business – Click Here. If you have questions about cell phone music on hold, feel free to contact us me by email or call 1-800-963-6968.